Leftover 1/2 of my tofu stir fry from last night (about 2 cups), with 3 cups of water (24 oz). 1/2 entree of chicken stir fry with vegetables and teriyaki + sweet garlic sauce. I took a picture of this, then realized that it looks practically the same as the tofu stir fry, except with chicken lol. I wanted to get something different, but there weren't any other exciting options except a Reuben sandwich, which I like but isn't great for you. I did get a bowl of soup though, to go with my stir fry. It was roasted butternut squash and garlic soup, and it was SO good. I love the taste of butternut squash and roasted garlic, but together they made a perfect duo. The squash has a sweet nutty flavor that goes really well with the strong roasted garlic taste, and is balanced out by just the right amount of salt in the creamy soup. 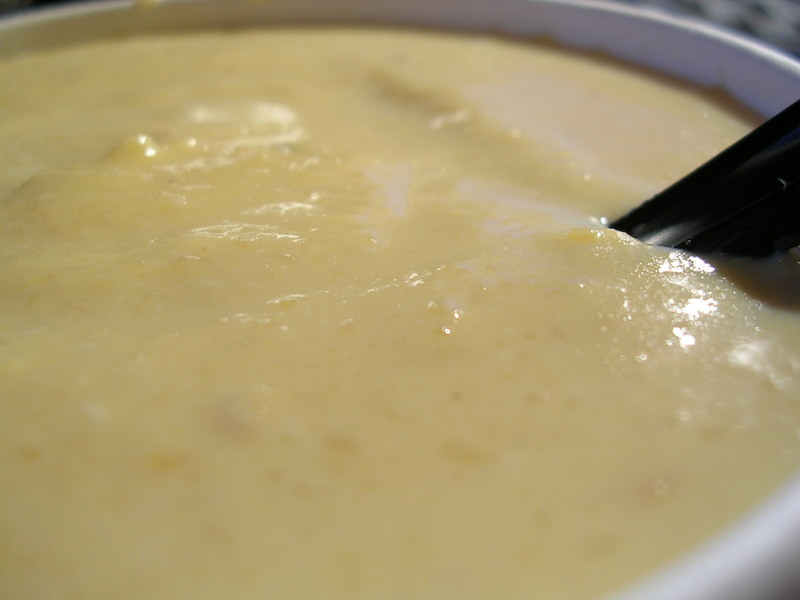 The creaminess doesn't come from excessive heavy cream, but rather from the pureed squash and garlic, kind of like the creaminess of split pea soup. Delicious! I had half a bowl, and I'm saving the rest for lunch tomorrow with the rest of the stir fry. Can't wait! More cashews that I brought from home. This entry was posted on Tuesday, May 15th, 2007 at 3:49 am	and posted in Chinese, snacks, soups, Uncategorized. You can follow any responses to this entry through the RSS 2.0 feed.